Nathan lived in Wollongong, and still does. 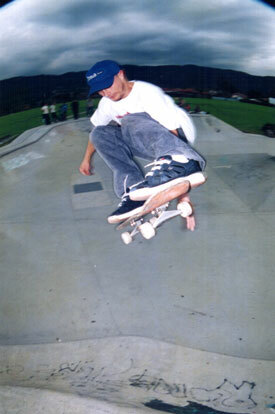 He skated for us for just a short time during the late 90's. I had to cull our team and unfortunatly I had to let Nathan go. Sorry Nathan you were a great guy and skater. Nathan now owns a skate brand "Wreckshop".